Short on time? 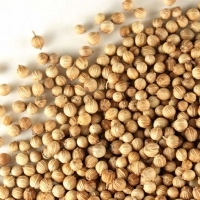 Let coriander sellers contact you. 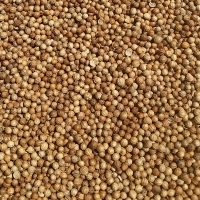 Coriander : 1 x 20' container, specified to buyers requirements. 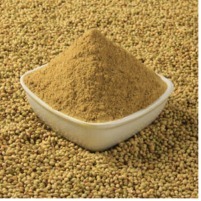 Coriander Powder: Product Description: Coriander powder is derived from the seeds of the coriander plant. 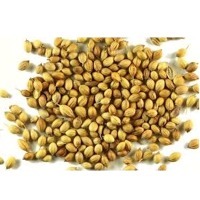 It adds a mild flavor and aroma to sweet and savory food preparations. 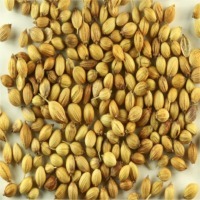 Most commonly, it is bought as whole dried seeds and ground as and when needed, but it can also be found as a readymade powder. 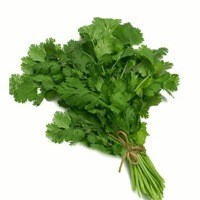 To make coriander powder at home, roast it slightly without oil to enhance the aroma and then grind in an electric grinder or with a mortar and pestle. 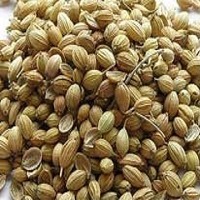 Uses / Benefits: - A combination of coriander and cumin seeds powdered together is popularly used in Indian dishes. 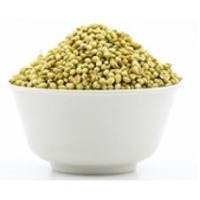 - Coriander powder is widely used in south Indian preparations, especially rasam, kara kuzhambu, vegetable preparations, etc. 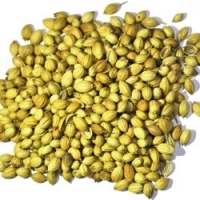 - It is an essential ingredient of many curries and gravies as it has a mild aroma that instigates the appetite. 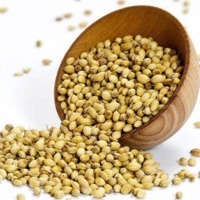 - Adding ground coriander to pancake and waffle mixes imparts a pleasing taste to it. 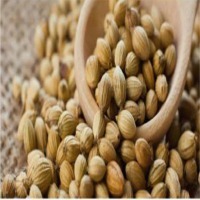 - Put dry roasted coriander seeds in a pepper mill and keep on the dinner table so that you and your family can use them at any time on salads, soups, and gravies too. 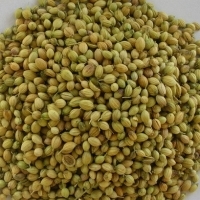 - Apart from being an aromatic spice, coriander seed has many curative and cooling properties. 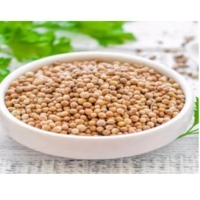 - Coriander powder taken in combination with a pinch of asafoetida and rock salt is considered an aid to the digestive system. 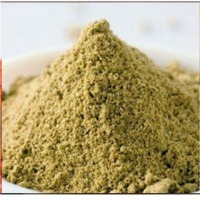 It is an appetite stimulant and aids in the secretion of gastric juices. 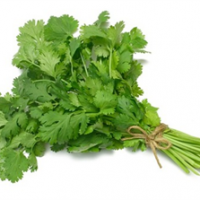 - Coriander has pain-relieving properties and is useful for headaches, muscle pain, stiffness, and arthritis. 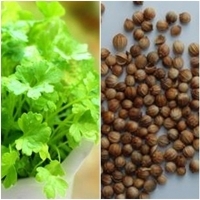 - Coriander powder is useful as a tea, because of its helpful effects on the digestive tract, and is good for increasing appetite, and relieving nausea, diarrhea, flatulence, and indigestion. 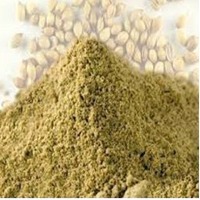 - It is reputed to enhance circulation and relieve fluid retention. 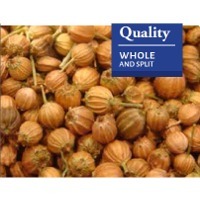 Trade Information: Delivery Time : 15 days after confirming payments. 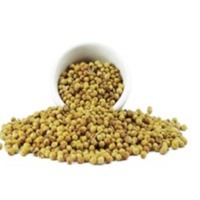 Supply Ability : 25000 Metric Tonnes Per Month Sample Available : Yes Sample Policy : Free samples available with shipping and taxes paid by the buyer Certifications : IEC, SPICE BOARD FOB Port : MUNDRA, KOCHI Main Domestic Market : All India Packaging Details : The products are properly placed and packed in a carton so as to avoid spillage or damage of product and also we do take customize request.